During my brief stint away from you a couple of weeks ago I amassed a fine collection of beautiful shells. After a quick soak in some not too bleachy water, a couple of hours in the sunshine to dry and and a then spray with polyurethane, they were ready for some decorating action… but nothing to fussy… simple is best. 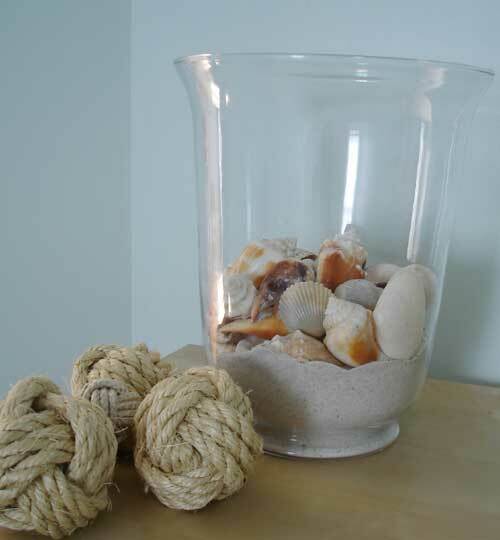 I’ll be sharing a beachy room makeover later this week. P.S if you ever bring a bag of sand through airport security be prepared to be pulled over and have your sand tested! 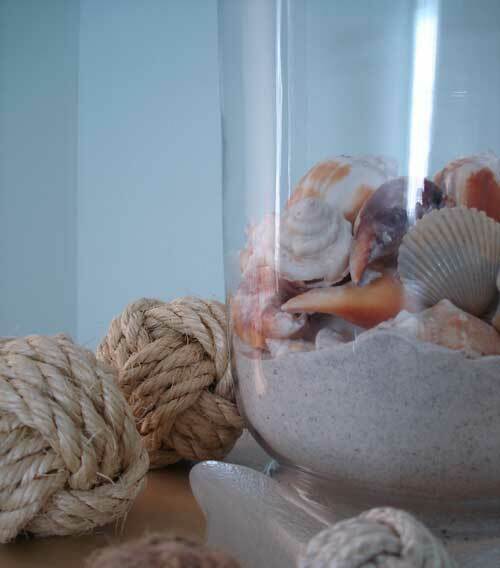 This entry was posted in Coastal Crafts, Coastal Decor, Craft Projects, Decorative Accents, Home Decor, Natural Materials, Rope, Trash to Treasure. Bookmark the permalink. 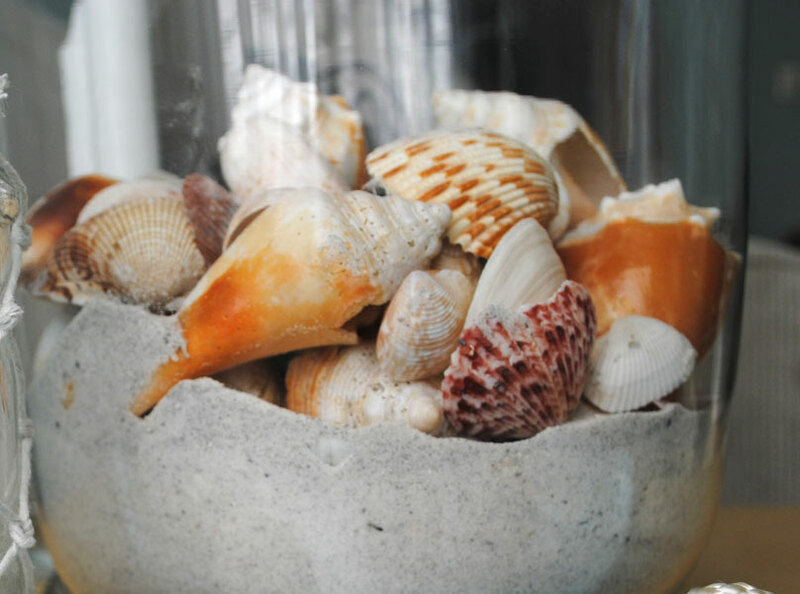 Very pretty shells and the sand looks to be very fine. I like it that way. I love the monkey balls, mine never turn out so good.